Finding a list of kids' Halloween DVD movies is not hard to do if you have access to a computer and the Internet. Google, Bing and Yahoo are all great ways to find all sorts of different movies for you and your family to watch throughout the year. If you want to find something age-appropriate for your children around Halloween, then there are many different kids' Halloween DVDs that you can choose from. 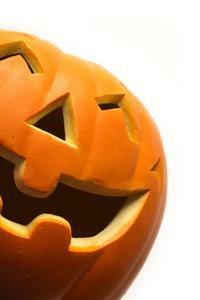 Disney Channel and public networks often play Halloween movies geared toward children near and on October 31st. 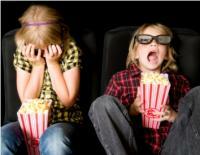 While most Halloween movies that are filmed for adults are usually far too scary for children to watch, Halloween movies for kids are usually perfect for younger age groups, or even adults who do not like to watch scary movies. Many other movies for Halloween are made each year, especially by Disney Channel. Disney Channel movies can become some of the most popular straight to television movies for children, such as the extremely successful High School Musical series, which even got its own big-screen sequel and Broadway adaptation. Disney Channel has many appropriate movies for this holiday, including the popular Halloweentown series and favorite movies such as The Haunted Mansion, Mom's Got a Date with a Vampire and Twitches. If you would like to just watch a movie once, then going to a rental store is also a great idea. Many stores such as Blockbuster will sell movies as well as rent them, especially if it is an older DVD or even a VHS tape. Keep your kids entertained this Halloween by viewing one of the movies listed above. You may even start a new family tradition, and watch the same video over and over, year after year.